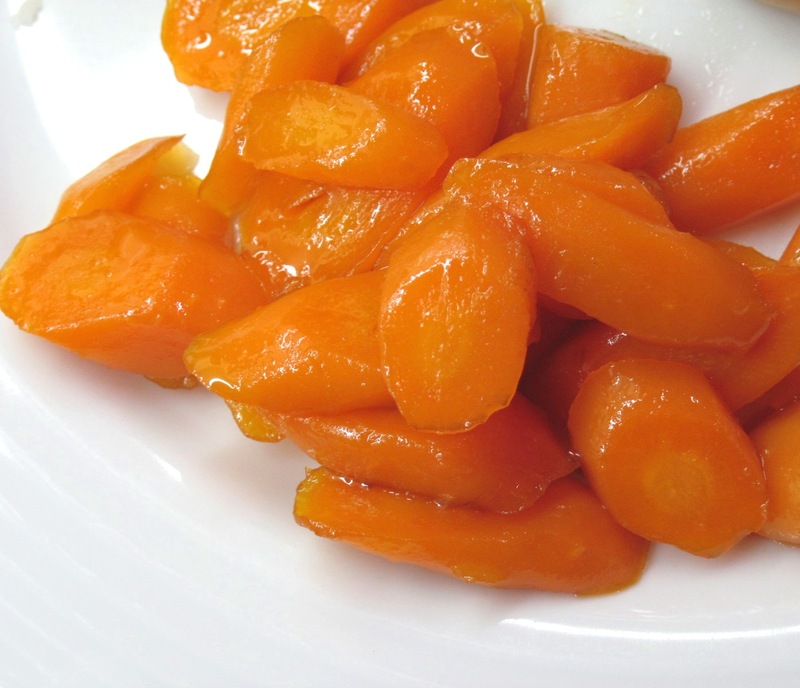 Adding just a bit of sweetener to carrots really brings out their own natural sweetness. 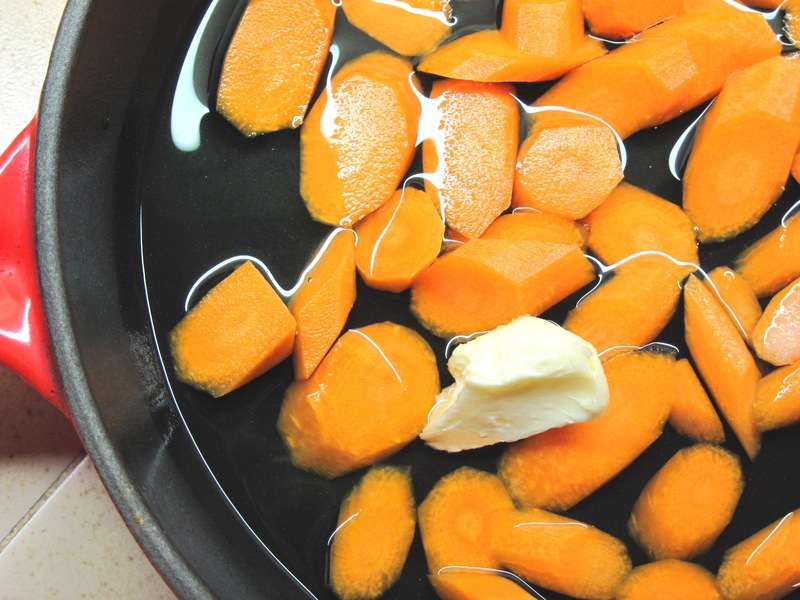 A lot of recipes for glazed carrots call for 2 or 3 times as much sweetener or butter, but you really don’t need to use that much. Maple syrup is a good choice to use because it’s not overly sweet. You could substitute honey or sugar. It’s such a simple method; there’s not much to say in the way of an introduction. 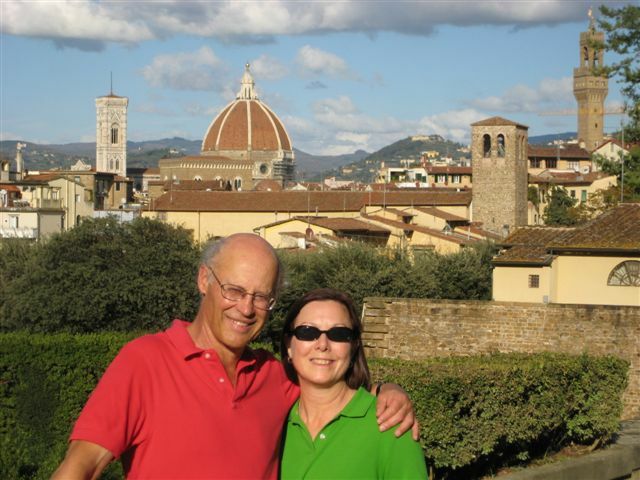 Try it – you’ll like it! Wash and peel the carrots. Cut them diagonally into bite-sized pieces. 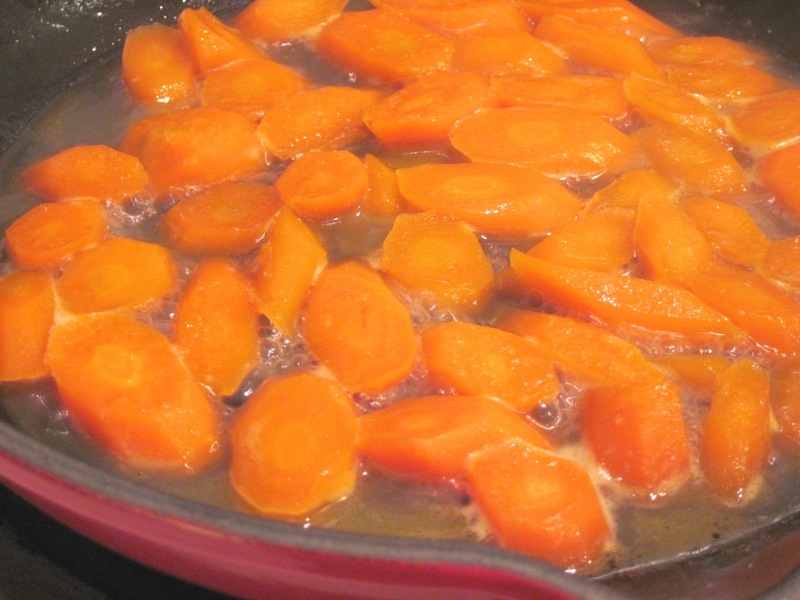 Put the carrots in a pan and fill it with water until they are almost covered. Add the butter. Heat, uncovered, over medium-high heat until the water is boiling. Reduce the heat so the water is simmering and continue to cook the carrots uncovered. The idea is to have the water evaporate; if it all evaporates before the carrots a done, add a bit more water. When the carrots are just about done, add the maple syrup and stir. Cook until the carrots are done, the water has evaporated, and the carrots have a nice glaze.